Once again, it is time for our weekly news round-up, where we put the most interesting stories from the past seven days for anyone who needs to catch up. Last week was in no short supply of Nexus leaks – we got to see both the upcoming Nexus 5X and Nexus 6P in all their color variations. Specs were also listed ahead of the two phones' official announcement, which is expected to happen on Tuesday. In other news, LG posted a teaser believed to be for an upcoming smartphone. The handset in question is referred to as the V10 at this time, and while there's no official confirmation of its existence, photos of it appeared on the Chinese regulatory agency TENAA's web site. What's no rumor is the iPhone 6s. In fact, the phone is already on sale in many parts of the world. Curious to know what makes it tick? Then take a look at the recent teardowns, exposing the innards of Apple's handset. The good news is that the latest iPhone model should be relatively easy to repair. For more of last week's popular stories, flip through the slideshow below. Black, white, and mint green – these are the three colors chosen to grace the upcoming Nexus 5X. Or at least that's what we're assuming given the evidence presented here. Soon after this seemingly legitimate Nexus 5X image leaked, specs for the handset were spotted online at Amazon India. A 5.2-inch display, a 12.3MP main camera, and a Snapdragon 808 SoC alongside 2GB of RAM were listed. But as you might have heard, we have two Nexus smartphones coming out this year instead of one. 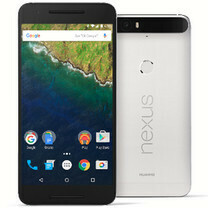 Along with the Nexus 5X we're expecting to see the Nexus 6P, images of which have also leaked several times already. Here's one of them, exposing the handset's front and back sides, along with a bunch of hardware specs. What you see is a smartphone only known as the LG V10, and it looks very intriguing, to say the least. That strip you see at its top appears to be a secondary screen. It looks like the latter displays shortcuts to apps, and we're willing to bet that it is touch-sensitive. As far as specs go, the LG V10 is listed as having specs very similar to those of the LG G4: a Snapdragon 808, 3GB of RAM, and a 16MP camera. The iPhone 6s and iPhone 6s Plus were released on September 25, and they've already been subjected to numerous tests and reviews. And teardowns, of course, as people are curious to know what makes the new iPhones tick. Here's a couple of iPhone teardowns exposing the innards of the iPhone 6s - its A9 chip, its 2GB of RAM, its Taptic Engine, and more. At last, the watchOS 2 update for the Apple Watch is now out, bringing support for native apps, a new bedside mode, new customization options, and more. According to a source with a good track record, we might see a couple of new HTC smartphones in the very near future. Rumor has it that an HTC Butterfly 3 for China may be announced on September 29, alongside an updated HTC One M9+. The former has been available solely in Japan since May, while the latter is on sale in select markets across Asia and Europe. And speaking of HTC, more photos of the HTC One A9, codenamed Aero, showed up a few days ago. The yet-unannounced smartphone will likely come in six colors - Acid Gold, Carbon Gray, Opal Silver, Rose Gold, Cast Iron, and Deep Garnet. As far as specs go, we should see a 5-inch screen on its front, a Qualcomm Snapdragon 617 SoC, and a 13MP main camera, which put the One A9 in the mid-range category. The Meizu PRO 5 is the company's most expensive and most advanced handset to date. It features a large, 5.7-inch Super AMOLED display, an Exynos 7420 SoC, 3 or 4GB of RAM, and a 21MP main camera, among a ton of other goodies. And all of that costs the equivalent of $439, which is a killer deal. Don't be reaching for your wallets, however, as the phone is only to launch in China for now. BlackBerry made it official that it had been working on an Android smartphone. It will be known as the BlackBerry Priv, where Priv stands for privacy, and while a large, curved touchscreen will grace its front, a slide-out QWERTY keyboard will be included as well. The new BlackBerry flagship will also feature a Snapdragon 808 processor, 3 GB of RAM, and an 18MP cam. For all the loyal Lumia fans out there, we bring good news. The Lumia 950 and Lumia 950 XL by Microsoft, which we've been hearing about for a while, might be right around the corner. The image you see here is said to be a leaked slide from a recent presentation. Naturally, both smartphones will run Windows 10 out of the box, and looking at their specs sheets, we can expect nothing short of excellent performance out of the two. More like LGBT to me. Maybe I've missed it, but has Google said anything about this 5x/6p being the nomenclature of future devices? I mean it would be silly to keep going up in number. Perhaps from here on out there can be a number/letter combination and a 5 and 6-inch device respectively. I think all manufacturers have to think about this. How silly does Samsung Galaxy S12 sound? Apple iPhone 11?